I have a very large closet. The kids have all of their toys in it as well as a “secret cave”. We will save the secret cave for another post. This closet is about 5′ wide by 15′ long. It has an angled ceiling that goes from about 7′ high down to 3′ high, rendering the room useless for much more than storage. We have three kids, and with them are a lot of toys, so this room is pretty full, and gets a lot of use. It also needs utility. 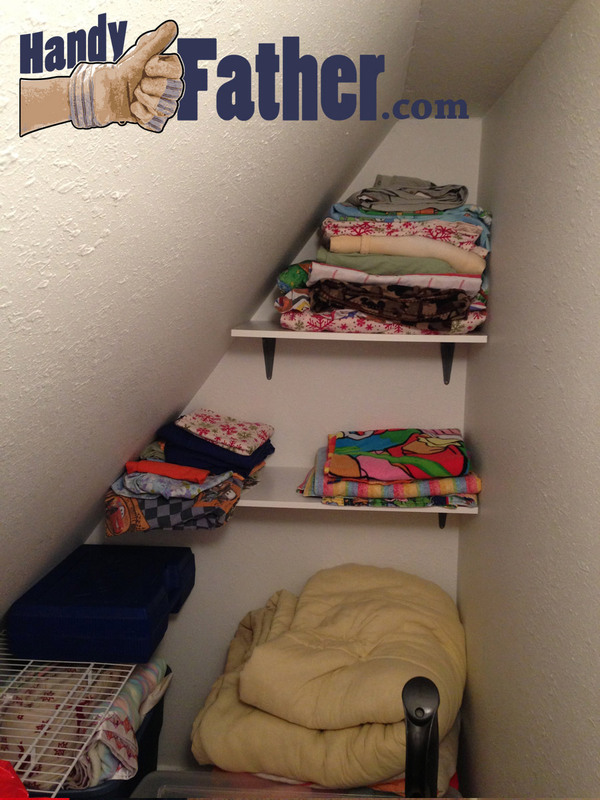 We store the sweeper as well as the extra linens for the kid’s bedrooms. The length of this closet has a single wire shelf from end to end. It is full of toys and games. Under the shelf are rubbermaid storage tubs. This is one cluttered closet. Now the shelves at the end of the closet keep the linens up and out of the way. The kids can play with their toys whenever they want, and this handy father no longer has to do any folding and refolding. It is a win-win! 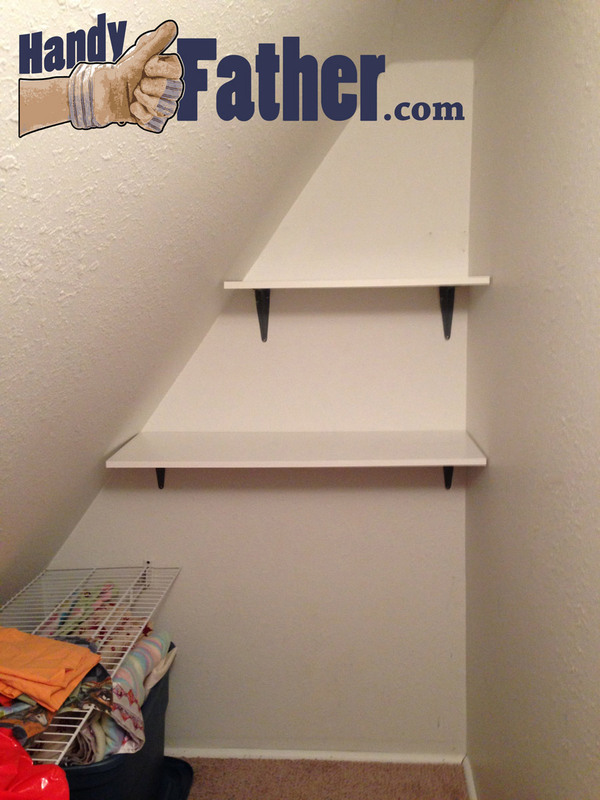 So remember this: Simple shelves de-clutter linen closets, and your life might just get a bit easier as well.